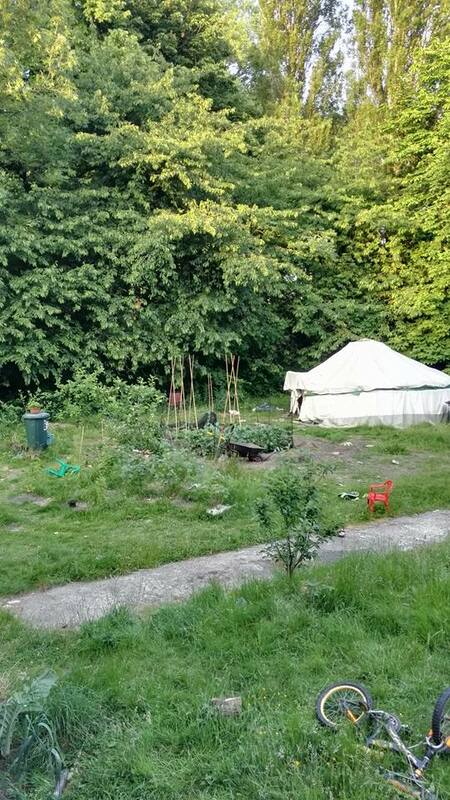 Freely Educated: Fancy Cooperative Living? 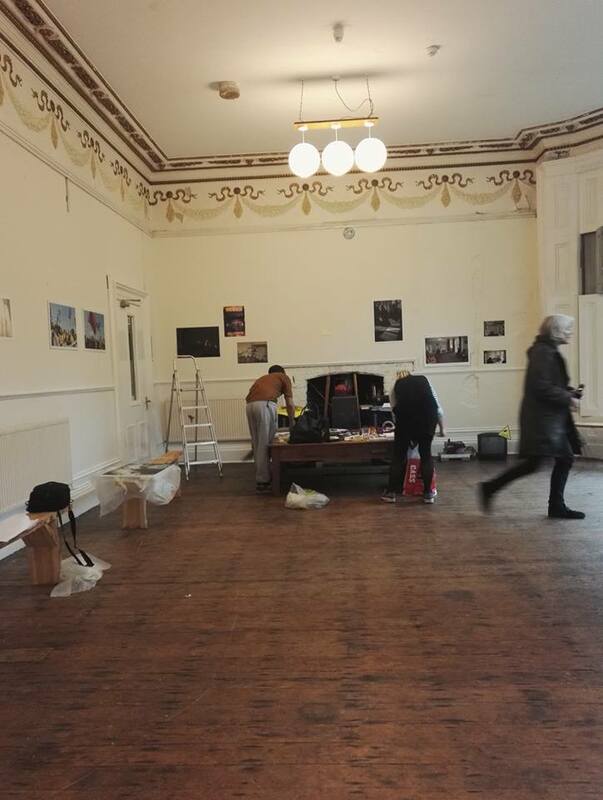 We have space for a small family, and we have a few single spaces available/coming available. We are looking for enthusiastic, energetic persons, with a passion for radical social change and a smattering of diy skills wouldn't go amiss either. This is our "Events Room", a multifunctional room. It's our living room, dinning room, and the room where we have parties, in the photo here we are getting the room ready for an exhibition. Home Ed and other groups meet in this room during the week too. View of part of our garden from my window. 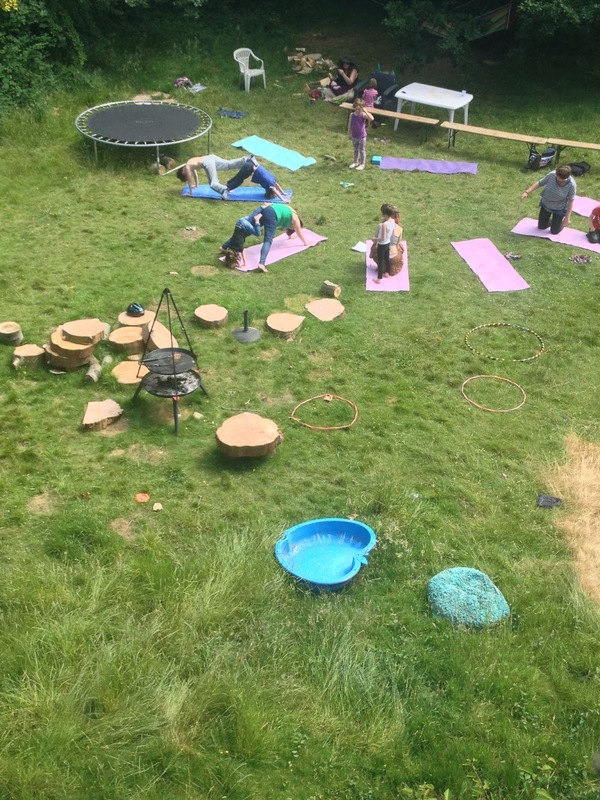 This was last summer with the home ed group, doing yoga, and then on an evening, we'd set up a fire and have a bbq. 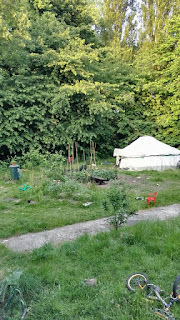 And this is the other side of our garden; this side is reserved for growing veg and housing some of the animals we have taken in.